For information on preparing for this trek, including when to go, what to bring, what permits are required, and safety precautions including altitude sickness, and water contamination, see Trekking in Nepal. Contact here http://www.nepalguideinfo.com for full information of Nepal. Famous for its spectacular mountain peaks and the loyalty and friendliness of its inhabitants (the Sherpa’s), the Everest region (Khumbu) is one of the most popular destinations for tourists in Nepal. While many of the routes through the mountains are arduous, there are ample places to rest and enjoy a meal along the way. Furthermore, don’t worry about getting lost. Just ask a local the way to the next village on your route, and they will direct you. Most Sherpa’s under the age of fifty can at least understand basic English, and many speak it fluently. While trekking is possible in this area the whole year round, the best times to visit are from the beginning of March to mid May and from the beginning of September to mid November. The winters are very cold and snow may make it difficult to travel higher than Tengboche, and also lodges may be closed above this altitude. Summers, on the other hand, are wet, and the spectacular peaks are often lost in the clouds. April and early May is a good time to see the hedgerows and trees bursting into bloom, with Rhododendrons, in particular, adding a spectacular splash of color to the landscape. However, dust from the plains of India during the spring routinely provides less than ideal conditions for clear mountain views. The views are much better after the summer monsoons have cleared the atmosphere of dust, but the days are shorter and cooler. Do you need a guide and porter for the journey? If you are strong, then a porter is not required, though hiring one does direct well needed cash into the homes of poor families and allows you more flexibility. If you do hire a porter, remember to keep valuables with you. The vast majority of porters are extremely honest, but it only takes one who is not to ruin a vacation! Expect to pay around 1200-1600 Rs (more if your load is very heavy) a day for a porter’s services, and as far as Namche you are not expected to pay for accommodation and meals. Guides will cost about 2,000 – 2,500 RS. However, due to the high price of food and lack of provisions for porters above Namche, meals should be provided. (NB: Namche has a cheap and clean lodge especially for porters). Anyway, ensure that your terms are clear at the time of hiring. This will save trouble later. Guides are definitely not necessary if you are traveling no higher than Tengboche or Pangboche. Above that, you might consider hiring one. Not only can they guide you on the right path and explain local sights, but can be invaluable should you fall ill. Guides speak English (and often other languages – specify your choice when hiring) and need an official license to operate. They command a much higher rate than porters (negotiate), and carrying your bags is not part of their service. Like porters, they will find their own accommodation and meals unless you invite them. In general, guides are local Sherpas or Tamangs and are usually named Lama; porters are Rai or belong to ethnic groups from other areas. Kathmandu valley includes several Hindu temples including of Pashupatinath, listed by UNESCO in World Heritage Sites and the largest Buddhist Stupa in Boudha. You can also visit the Monkey Temple also called ad Swyambhunath, built some 2000 years old and visit Patan, the city of fine arts. Overnight stay at the hotel Nepalaya or Holy Himalaya. On the 3rd day, you will take a flight from Kathmandu to Lukla which takes around 35 minutes. From Lukla, you will be heading towards Phakding (2652 m). Taking 35 minutes of flight to Lukla, your trip begins after climbing up to the slope on the left bank of Dudh Koshi River. On the way, you can view the magnificent beauty of Kusum Kangaru, Mt Kwong and you pass a few tea houses and Mani walls. Overnight stay at a guesthouse. On the 4th day of the itinerary, you will move from Phakding to Namche (3,440m). After a slight rise from Jarsalle, the trail passes through a waterfall. Throughout the day, you will pass through the villages interspersed with magnificent forests of Rhododendron, giant fir trees, and magnolia. And on the way to walk you will be rewarded (weather permitting) your first glimpse of Kusum Kangru (6369 m) Thamserku (6608 m) Everest (8,848 m) and Nuptse (7879 m) then a steep climb to the beautiful village of Namche Bazaar (3440m). Overnight stay at a guesthouse. Acclimatization is important before proceeding to a higher elevation. It is therefore recommended that it is better to take a short day hike to Thame, Khumjung or Khunde. If you get some time then you can go for relaxing and exploring the Namche and the Sherpa culture. On this day, you will head to Thame from Namche Bazar by hiking and enjoying good sightseeing. Today you will work through many prayer flags, mani, and walls which are carved on stones. After winding the Bhote Koshi River, the trail climbs steeply to Thame. You will have a good view of the Kang Poche Teng and Kwangde and North in the Thame Gompa Nangpa. You will head to Khumjung Village (3789 m) by walking to the river then start to the village of Khumjung. Many hikers enjoy the trek to Khumjung village, as it is supposed to be one of the civilised communities of Sherpa. Overnight stay at a guesthouse. On the 6th day, you will find the trail climbing the forests where you find the musk deer. Tengboche is situated on a saddle at 3870m, surrounded by a clear dwarf firs and Rhododendrons. Kwangde (6187m) Tawache (6542 m) Everest (8,848 m) Nuptse (7855 m) Lhotse (8618m) Amadablam (6856 m) Thamserku (6608 m) offers an inspiring panorama of gigantic Himalayan. You will be visiting the Thyangboche Buddhist Monastery which is considered as the largest in the Khumbu region. Overnight stay at a tea house. On the 7th day of trekking, you will head to Dingboche from Thyangboche. The valley progressively gives details as you move toward the following of the Lobuche River. From here you will move down into the River to set in motion for the last and vertical climb of the day until you reach Dingboche. As you reach there you will view a striking display of fields which are surrounded by stone walls for the protection of Barley, Potatoes, Buckwheat and animals grazing. Overnight stay at a guesthouse. On the 8th day, you will trek to Lobuche from Dingboche in an early morning. You will discover within yourself when you will find different Peaks like Lingtren, Khumbu, Pumori etc will be in front of you. Here, you will find yourself in the surrounding areas of Everest. Finally, you will arrive at Lobuche. Overnight stay at a guesthouse. On the 9th day, you will trek to Everest Base camp via Gorakshep from Lobuche. It is good to know that Gorak Shep goes away to the lead through the side of the Khumbu Glacier. You have to go by the pyramid sign post. As soon as you reach to Gorak Shep, you will get to see the Mountains which are covered with snow- capped alarming in the entire region counting the top of the world called Mount Everest. You will get to know the unusual things to this day. Overnight stay in a Trekking lodge. On this day your dreams as true from Kala Patthar breathtaking views of the entire Mount Everest and the surrounding peaks, we trek to Kala Patthar from Gorak Shep. It does not take much longer till we reach Kala Patthar and behold the beauty and grandeur of the Everest. It is located at an altitude of 5545 meters and it is also the point from where the Everest expedition starts. After staying at Kala Patthar for some time and looking at the mountain summits, we start our return journey. We will reach Pheriche, a small village in the Khumbu region, at the end of the day. Overnight stay at a guesthouse. Journey back to Namche from Pheriche is quite easy and comfortable as it traverses through several Sherpa settlement areas and villages. Overnight stay at a guesthouse in Namche Bazaar. The trek continues further downhill as we reach Lukla after almost seven hours of trek. You will be staying in Lukla for the rest of the day and prepare yourself to board a flight back to Kathmandu the next day. You will board a flight back to Kathmandu while enjoining the 30-minutes of exhilarating mountain flight. The rest of the time in Kathmandu, you will be shopping and buying souvenirs to your loved ones. and join the cultural dinner offer by Nepal Planet Treks manager in the evening. Overnight stay at a hotel Nepalaya or Holy Himalaya in Kathmandu. 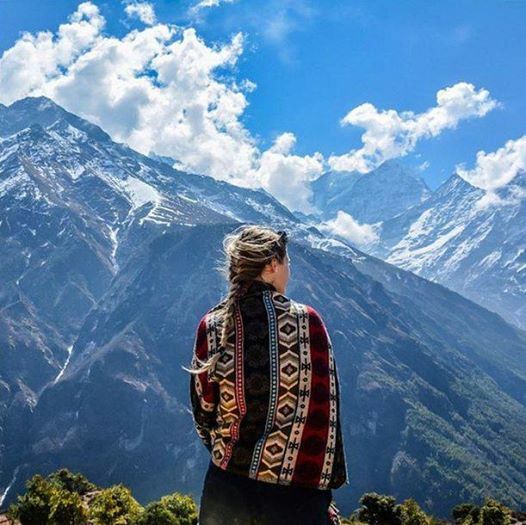 On the 14th day of the trip and after almost two weeks of a continuous trek to the Everest Base Camp region, you will head back to your country with some great memories of the Khumbu Region on your mind. Board a flight back to your country from TIA, Kathmandu.